This album is lying on that stack with cds for quite some time. The music soft, intriguing, different, somehow lukewarm. Heat hidden by 10 kilometres of cold oceanwater. Something like that Untangled by And Also The Trees presents me with. Yes, there are emotions, but well hidden under a suave sound of men who have seen it all and lived to tell. And Also The Trees is a completely new name to me. To my surprise the band started its career as support act for The Cure just a few years after the breakthrough of that band. The first album is from 1984, the latest from 2016. Nowhere on the website of And Also The Trees there's any mention of an album called Untangled. So what am I listening to? Somewhere I recall a subtitle 'An Introduction To' and that proved correct. Gentlemen Recordings from Rotterdam releases a compilation of the best songs by And Also The Trees from the past 30 something years. 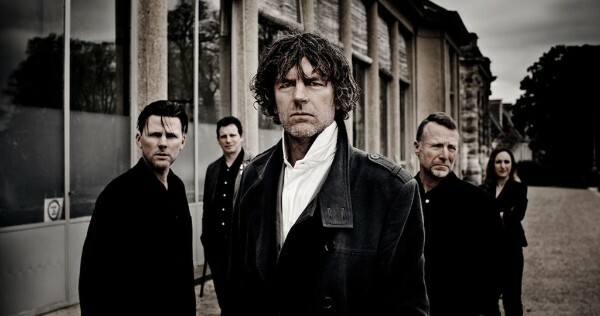 From a band of youngsters from the post-punk, doom and gloom 80s to the 50 somethings in the mid 10s. That is a whole trip. I know, I lived to tell. Is it possible to present a coherent album as an introduction when spanning so many years? Somehow the answer is yes. This band has a very consistent sound. A song like 'The Street Organ' could have been made in the mid 80s at a time when no one seemed to know joy, in music that is. I remember loads of fun in those years, just not a lot of it in then current music. The song is from 2009. Caught in time this band seems to be. The album is never as impressive as in the opening and title song. And Also The Trees manages to conjure up a superior atmosphere that sort of stuns. The mood of Untangled is sort of set in stone. Despite the years that have come and gone in between. And Also The Trees stands for seriousness. Life is something to take on seriously. Even when a holiday to Spain leads to a different approach to a song, 'Your Guess', the mood remains dark and moody. 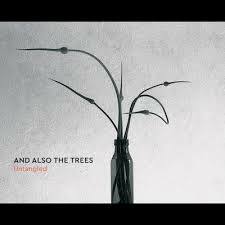 The laden atmosphere of Untangled makes 17 songs a long sit in one go. The alternate sound of the guitars in a song like 'Your Guess' come as a pleasant change. What I did, is to start the album half way with 'Paradiso'. This led to a few nice surprises along the way for sure. As a whole the atmosphere of the record remains too laden for me. The whole seems to brace itself for impending doom. A lot of that comes from the way Simon Huw Jones sings. He has that dark way of singing that was very popular in the U.K. around 1980 and still sings that way nearly 40 years later. The music underscores his timbre. There's simply no escape allowed. A fleeting glimpse of something more optimistic that passes by in the sound of a guitar is the best one can hope for on Untangled. And Also The Trees managed to keep itself successfully off my radar for decades. Through a tiny label based in Rotterdam that changed and I'm glad it did, despite the fact that this is not easy music to digest. Some songs are certainly impressive, in fact, very good. When I look at the re-released albums I recently discovered by TV Personalities, Bark Psychosis (there are some similarities to be found here) and The Jazz Butcher, there undoubtedly is so much more out there by bands releasing records for years, and more, without ever really getting noticed. Perseverance pays off in the end.